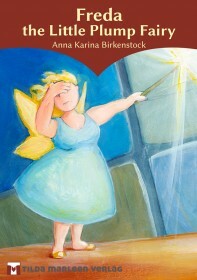 We publish books for confident children and for adults who remain young at heart. We believe that even quite young children are able to draw conclusions and to reflect on circumstances as well as being aware of more complex situations. We take very seriously the questions and opinions of our young readers. Our aim is to arouse their interest and enjoyment in reading books by using texts and illustrations of exceptional quality. The e-book medium fulfils many of our goals. It opens up the possibility of integrating narration, animation and interactive devices alongside classical texts and illustrations. We have rejected the “vendor lock-in” by keeping our products totally free of DRM. Our e-books are available in a variety of platforms, whether it be from Apple, from Amazon or from our own website. If you choose to buy our e-books from our own website, you can change platform at any time. You can then download the e-book in any available format for an unlimited period of time. We would encourage you to read books purchased from our store on a variety of devices. 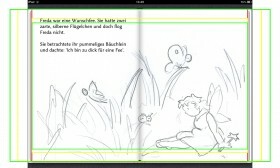 Why should e-books be any different from traditional paper books? Without DRM it is a simple matter to read your e-book on an iPad in your living room or on a Kindle Fire in the children’s room. It is equally easy to lend the book to friends and family but we would ask that, in all fairness, if your friends like the book, they then buy their own copy. Our prices are not high and each copy of a normal book would have to be bought individually. We have no links to external websites or stores from within our e-books and apps, neither do we support so-called “in app” stores in our apps. We want our children to be able to enjoy the e-books without being confronted by third-party advertising and we are confident you would wish the same for your children. That is why our e-books have no direct links to our own websites with additional information about our e-books. Instead a plain text URL is provided so children cannot accidentally access the internet. For this reason, together with other publishers, distributors and developers, we have signed the Children’s App Manifesto.